We all know by now that the McLaren 720S is outrageously fast. We’ve seen one lay down a nine-second standing quarter-mile, another greatly exceed its quoted power figure on the dyno, and, erm, people getting caught out by that understated output and crash. 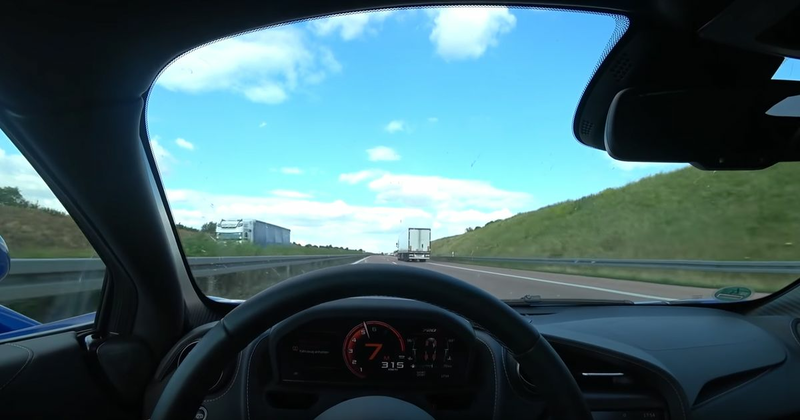 But even so, this POV autobahn run makes for compelling viewing. Why? Because of the way this 720S so easily accelerates up to incredible speeds. Around the 3min mark, the driver is seen accelerating from 150kmh to just under 300kmh (92mph to 186mph), something the car manages with shocking ease. He has to back off again, before going to another run that tops out at 325kmh on the speedometer, or 202mph in old money. 720S: keep doing what you’re doing.